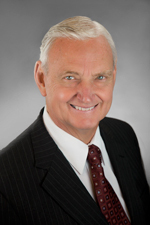 Donald Mrozek served as chairman of Hinshaw & Culbertson LLP from 1989–2015. Today, as chair of the firm's Consultants & Coaches for the ProfessionSM Practice, he helps law firm leaders address complex business- and management-related challenges and opportunities involved in effectively managing their firms. Mr. Mrozek and the team — which includes members of Hinshaw's leading Lawyers for the Profession® Practice — advise law firms and their leaders on a wide variety of subjects including succession planning; partner compensation; mergers and lateral partner hiring and retention; firm leadership; consensus building; firm governance and practice group structure; responding to client expectations; maintaining and growing profitability; and personnel issues. He also mediates and arbitrates disputes between partners or between partners and their current or former firms. Mr. Mrozek represents clients in the areas of governance; business litigation; fidelity bond claims and litigation; and internal investigations involving allegations of fraud and related misconduct and related areas. Under Mr. Mrozek's leadership, the firm grew from a small Chicago-area law firm to a national firm with 25 offices, approximately 500 attorneys and more than $225 million in revenues. His accomplishments as Chairman of Hinshaw are Chronicled in the July 9, 2015 issue of American Lawyer Daily and on Bloomberg Law's Big Law Business.